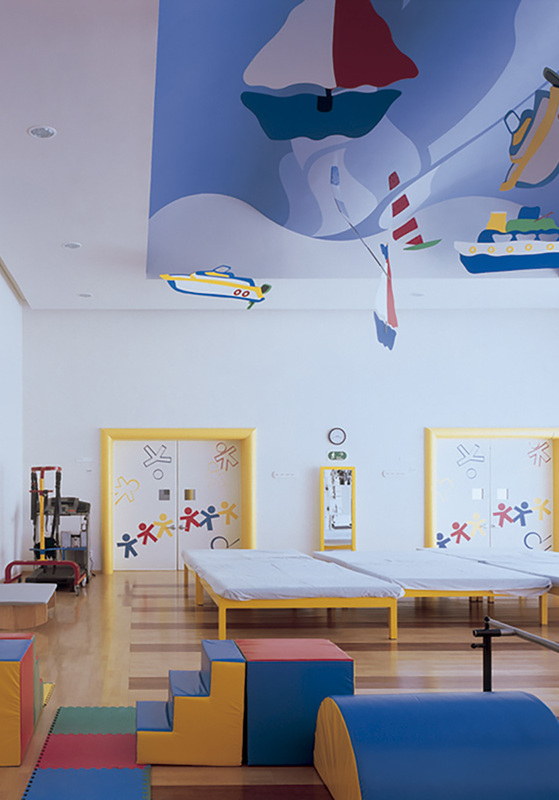 Distinct projects, shaped with the same compositional language while preserving their own identity, not only define the guidelines for the same network of architectural complexes, but also create a reference point in the collective imagination of what a Children’s Rehabilitation Center (crit) represents and implies. 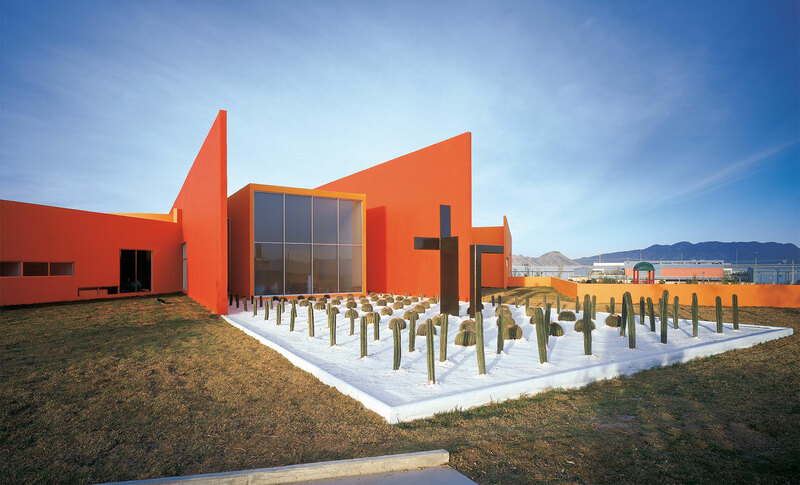 The buildings, an ongoing project since 1999, today comprise 19 crits that have pro-vided an outline for the whole country, based on Mexican imagery and morphology and possess design elements based on colorful geometry that adapt to each regional context. 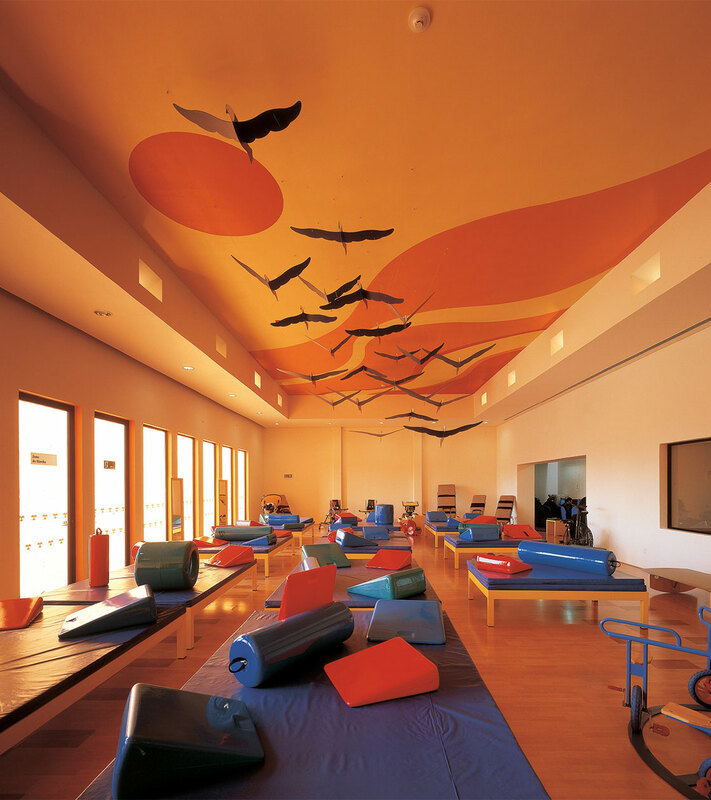 The defining idiosyncrasy of the projects is a palette of colors dominated by orange, pink, red, blue, yellow and purple tones. 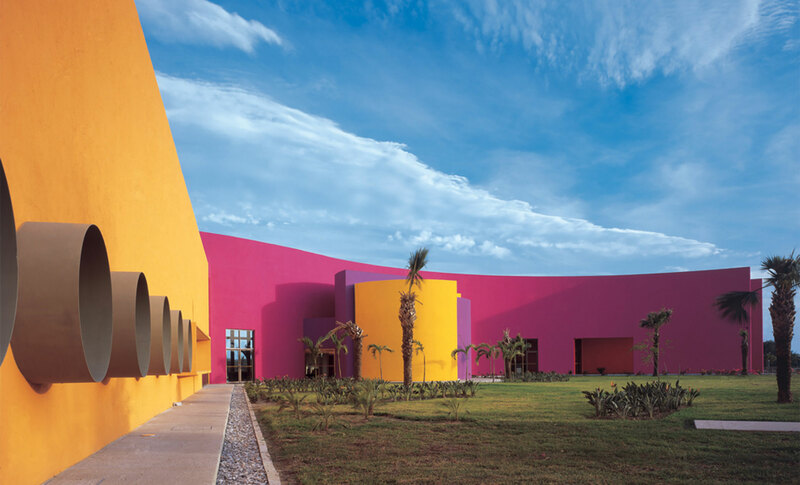 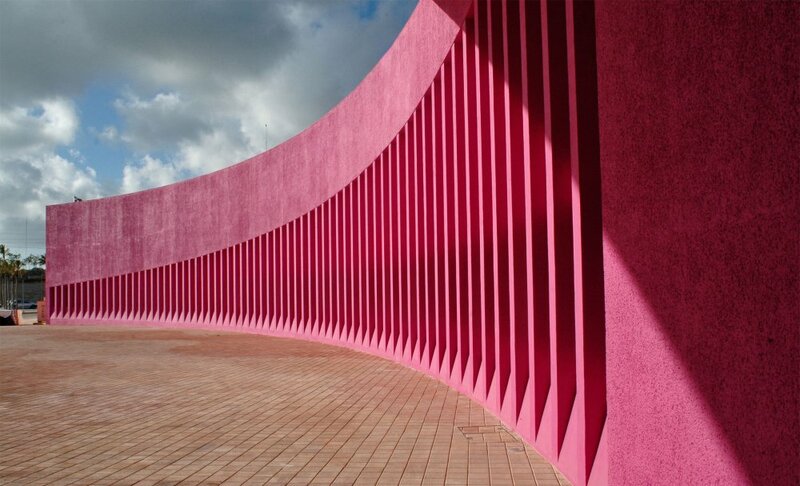 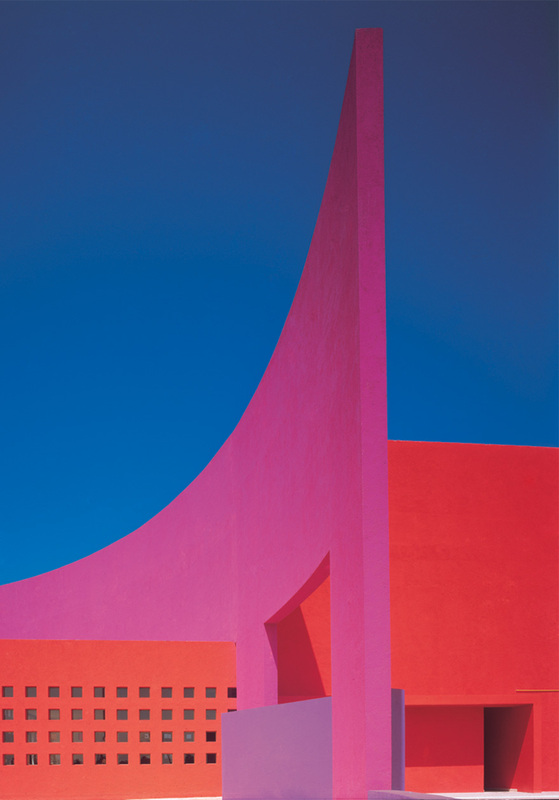 The rehabilitation centers are characterized by these vibrant colors, openings in the façade that create an inter-play of light and shadow, and linear perspectives that end in curved elements. 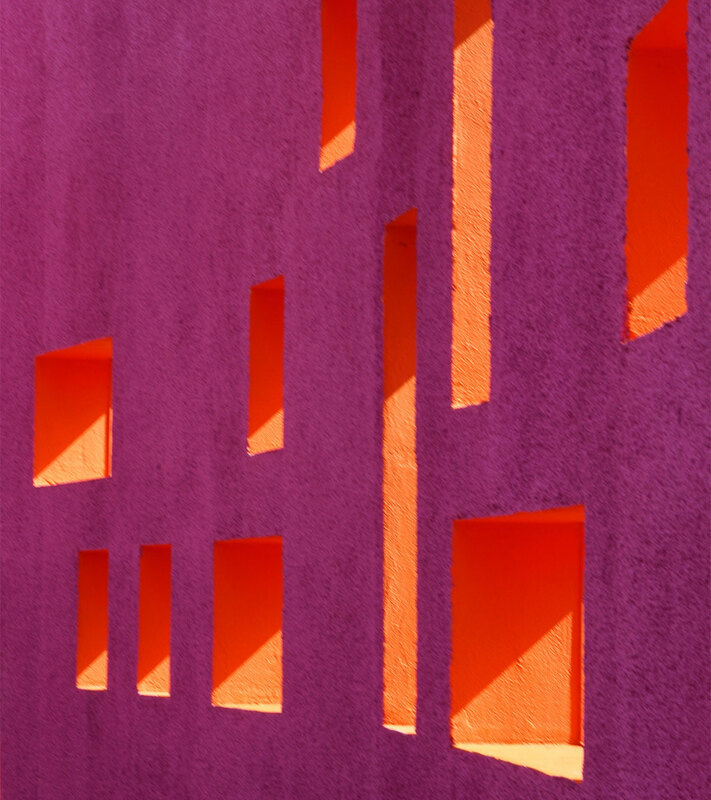 The elevation of the spaces may be appreciated in the orthogonal bodies that intersect cylindrical volumes, façades that simulate window blinds or curtains with coverings that generate their own characteristics, as well as in fountains, sculpture elements and changing floor textures.